Why should you buy travel insurance? Here’s 5 great reasons why. 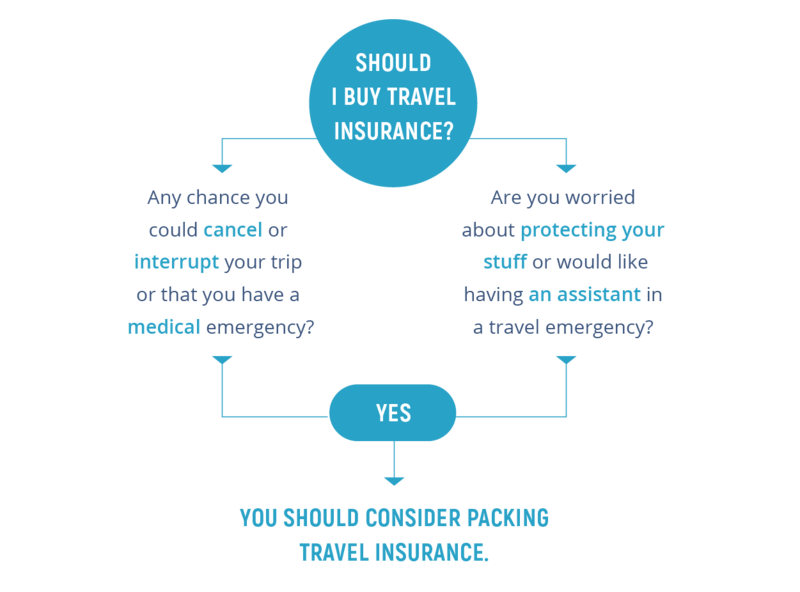 If you’ve ever wondered, “Should I buy travel insurance?”, look at where you’re going, how you’re getting there, and how much you’re spending on your trip. 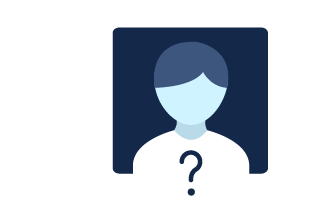 Let’s take a closer look at who travel insurance is built for – and why it’s built the way it is. Travel insurance has something for everyone. Travel insurance has something to help nearly every sort of traveler on nearly every sort of trip. Let’s take a closer look at each of those areas. It’s not just being an older traveler versus a younger one, male versus female, or a wandering nomad versus a tour-bus type. There are multiple traveler types, and some types need insurance more than others. No matter how healthy you are, older travelers are more susceptible to medical emergencies than younger travelers. In addition, older travelers tend to take longer, more involved, more expensive trips. However, even for short trips or trips with low upfront trip costs – like a road trip – travel insurance can be valuable for older travelers for its ability to help pay for emergency medical expenses. And here’s one more great thing about travel insurance for older travelers: Its emergency travel assistance can help deal with issues that crop up along the way. You invest more in your travel experiences, because you’ve earned it! For solo travelers who like to wander off the beaten path, the emergency medical evacuation coverage in most travel plans is an important lifeline. And finally, the travel assistance that comes with most plans is the perfect support system for many solo travelers. Some insurers support multi-channel assistance requests, so even if you can’t call in you can still get help via email or social media. With family travelers’ complex lives, trip cancellation and interruption become even more important components of a travel insurance plan. Trip cancellation and interruption can protect a family vacation in case the unexpected happens, like a child becomes sick or a parent loses their job. There’s an old rule of thumb: The longer it takes to get to a destination, the more that trip needs travel insurance. It’s true that trips to far-flung destinations need to be insured – but trips close to home can benefit from travel insurance, too. If you have to interrupt your trip a long way from home, it can be a challenge arranging things to get you back home – and a real hit to the wallet paying for those changed arrangements. Travel insurance can help on both counts. Many plans will help you pay for a return flight home, in addition to reimbursing you for remaining prepaid trip expenses that you won’t be there to enjoy. The travel assistance included with many plans can also help you arrange your return home, so you’re not left to figure out all the changes on your own. Even a domestic trip can have its share of issues. If you have a medical emergency, for instance, it really doesn’t matter if you’re in Poland or Poughkeepsie. You need help fast, and you need bills paid. Travel insurance can help with that. And think of once-in-a-lifetime trips like a destination wedding or honeymoon. Those trips need the comprehensive protection of travel insurance, in case a fire destroys that secluded mountain getaway or a freak April blizzard grounds all the flights – for you and your guests! Travel insurance is especially important for trips that involve transportation on a “common carrier” – a scheduled flight, cruise, bus, or train. If something throws your scheduled transportation off its schedule, your schedule could be thrown for a loop. Travel insurance can help reimburse you for activities you miss because of a common-carrier delay, and travel assistance can help you rebook and reschedule. If you’re flying, our ExactCare Extra plan has a special suite of benefits just for flights. Trip cancellation and interruption can help pay back money you paid up-front for activities or accommodations. Optional rental-car collision coverage can help protect your main auto policy if you have a fender-bender in Fort Lauderdale or get T-boned in Tonopah. The more your trip costs, the more you usually need travel insurance. Some smaller getaways might not require travel insurance, while many big-ticket trips carry the potential for significant financial losses. For example, maybe you can get away with not insuring a barbeque-shack dinner, a $100 hotel room, and a $99 flight from St. Louis to Louisville. But can you afford to cover the entire cost of a $30,000 Antarctic cruise if you get sick and have to cancel your trip? You’re bringing a special wedding present in your luggage and want it covered in case it gets lost or stolen. The luggage benefit in a travel insurance plan can help protect it. You’re worried about potential disruptions from terrorism, and you want to be covered if there’s some sort of qualifying event when you reach your destination. Many plans may let you interrupt your trip and return home in that situation. Your tour operator goes out of business without notice or warning. Many plans have coverage for just such an occurrence. You just feel better when your trip is insured. That’s absolutely legit, and a great reason to buy travel insurance. To find out how much it costs to avoid these issues, take a few minutes and get a quote. It’s easy, and there’s absolutely no obligation.